Author Peter Mountford discussed his newest novel, The Dismal Science, with local author Peter Orner recently at the Haight’s The Booksmith. The conversation was held in a big room between the store’s children’s literature and travel sections. Now long friends, the two writers talked shop on their views of craft and life, the book’s themes and characters, and the grief and comedy that underlie the politics of the human heart. Based in Seattle, Mountford received the 2012 Washington State Book Award for his debut novel, A Young Man’s Guide to Late Capitalism. His short fiction and essays have appeared in The Atlantic, Best New American Voices 2008, Granta, and ZYZZYVA. 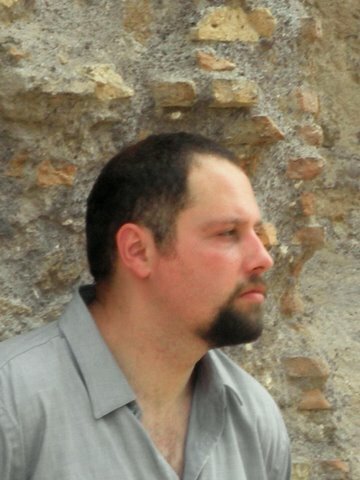 Orner is the award-winning author of two short story collections, two books of non-fiction, and one novel. His work has appeared in Granta, The Paris Review, and McSweeney’s. The Dismal Science tells the story of Vincenzo D’Orsi, a recent widower and middle-aged vice-president at the World Bank who publicly quits his job over a seemingly minor argument with a colleague. Over the course of the novel, Vincenzo struggles to rediscover his all but abandoned sense of self and identity. After the introductions, Mountford shared a passage from the novel. Many of the sentences sound long, yet punchy; likewise, each paragraph tightrope-walks a taut word-economy amid scenes packed with expansive moments and complex emotive images. When he reads, his voice falls into the colloquial, yet urbane rhythm of the language. But then, in a strange twist of expectation, Mountford’s voice lifts at each full-stop as if this thought or moment in the narrative is not quite done, but is nonetheless being lost or buried in the new parade of words. That poignant realism and humanizing of politicos comes in part as a result of Mountford’s upbringing, the author says. Mountford, whose father worked for the International Monetary Fund (IMF) and the World Bank, grew up in the divisive, power-charged landscape of Washington D.C. and in Sri Lanka during the early stages of a bloody, 26-year-long civil war. Mountford relates a story about a multibillion dollar loan — “the biggest loan in the history of the planet,” he says — that the IMF provided Russia to upswing its economic growth. Huge numbers of lives were staying afloat due to this loan. Mountford describes the IMF employee in charge of the finance as “an incredibly innocuous guy who plays in a mariachi band.” But despite this demeanor and the lives at stake, when Russia defaults on its payment, the man cancels the loan until the IMF dues are paid. These extreme, yet intimate conflicts of power, beliefs and identity are at the heart of what make The Dismal Science a work of art that transforms the socioeconomic bogs of political discourse into a deeply human narrative. Mountford says the moral ambiguities that surface between people and politics became increasingly apparent to him as a teenager in D.C. Once an active member of a group that referred to itself as The WTO Kids, he recalls being teargased by riot police at protests outside the WTO building and then, after the protests finished, going inside to eat lunch. The Dismal Science attempts to ask a broad range of questions about who people are without their backstories, Mountford says. The novelist teaches the reader to comprehend the world as a question. There is wisdom and tolerance in that attitude. In a world built on sacrosanct certainties the novel is dead. The totalitarian world, whether founded on Marx, Islam, or anything else, is a world of answers rather than questions. There, the novel has no place. Throughout the novel, Mountford plays with Kundera’s notion. Vincenzo himself appears to become lost in a spiraling abysm of doubt — to every question, a question within a question. Orner points out that the novel also presents readers with questions through blurring fictional politicians with current events such as the Occupy Wall Street protests. Mountford says these themes of perception and reality have absorbed him as both a reader and writer. David Foster Wallace’s “The Expressionless Animals,” a short story about a variety of characters on a Jeopardy show, plays with reality in this context and still remains years later imprinted in Mountford’s mind. Despite its stages of grief, Orner notes that Mountford’s novel is surprisingly a hopeful story. “Interestingly it is Vincenzo’s very lack of certainty that makes it hopeful,” he said. Michael Shufro is a journalist, poet, storyteller, and playwright. Michael is also the host of the Parnassus Revue, a SF literary arts radio program and live show. Michael has worked as the Santa Rosa Correspondent for The Press Democrat, a then New York Times company. His writing has also appeared in the North Bay Bohemian among other publications. He is currently at work on Blunderboar, a play about a depression-era family of circus performers struggling to recover their memories lost in Time. Michael resides in San Francisco. Send Michael an email.